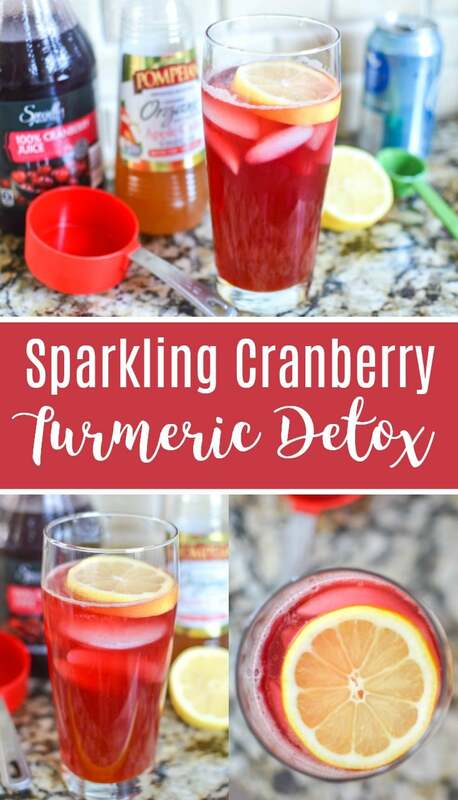 This Sparkling Cranberry Turmeric Detox recipe uses apple cider vinegar with the mother and turmeric, which are both rising food trends because of their many health benefits. 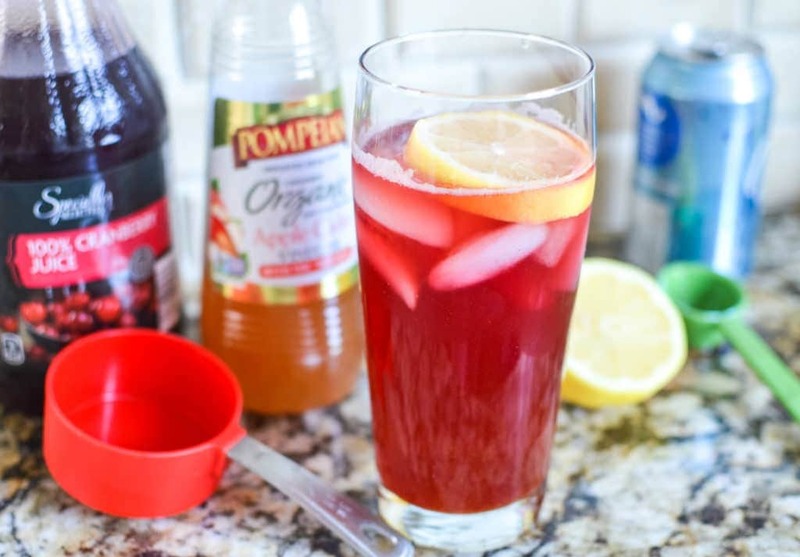 Thank you, Pompeian for sponsoring this Cranberry Apple Cider Vinegar Drink post for #TrendingintheKitchen. All year long I have been staying up-to-date with the latest food trends thanks to a partnership with Pompeian. 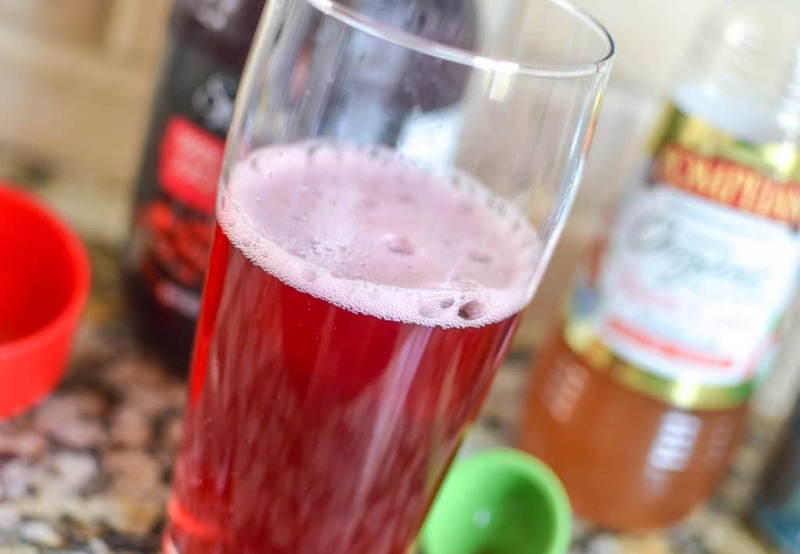 I’ve shared many delicious food recipes using Pompeian olive oils and vinegars, but today, for the first time, I’m sharing a beverage. You may have heard some of the buzz about Apple Cider Vinegar with the “Mother” and its incredible health benefits. 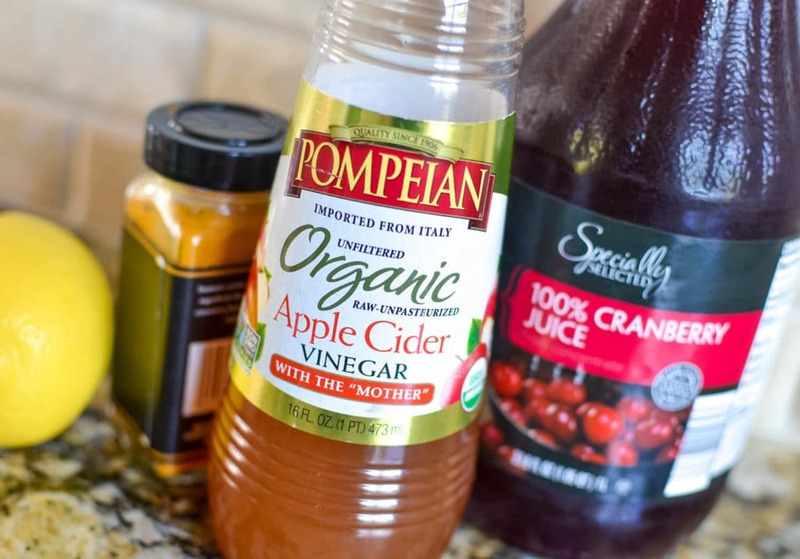 Consuming two tablespoons of Pompeian Organic Apple Cider Vinegar with the mother daily offers the maximum benefit from the high volume of polyphenols, which improve digestion, boost the immune system, combat cholesterol, prevent dandruff, soothe sore throats, keep skin healthy, and reduce excess fat in cells, promoting weight loss. Pompeian does not filter or pasteurize this vinegar in order to maintain its natural and genuine benefits, and to preserve the presence of the “mother” in the product. 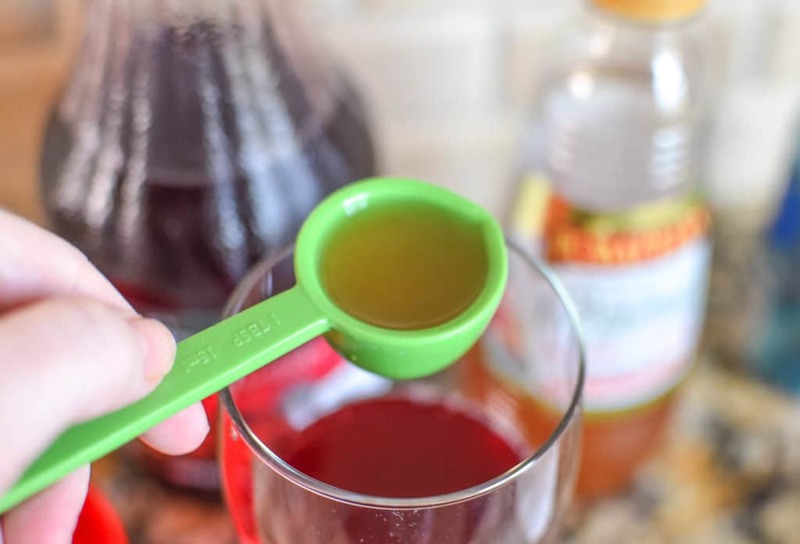 Because of its high acid content, you should not drink the recommended two tablespoons of apple cider vinegar (ACV) without diluting it first. An easy way consume this daily amount is to mix it in a tasty beverage. 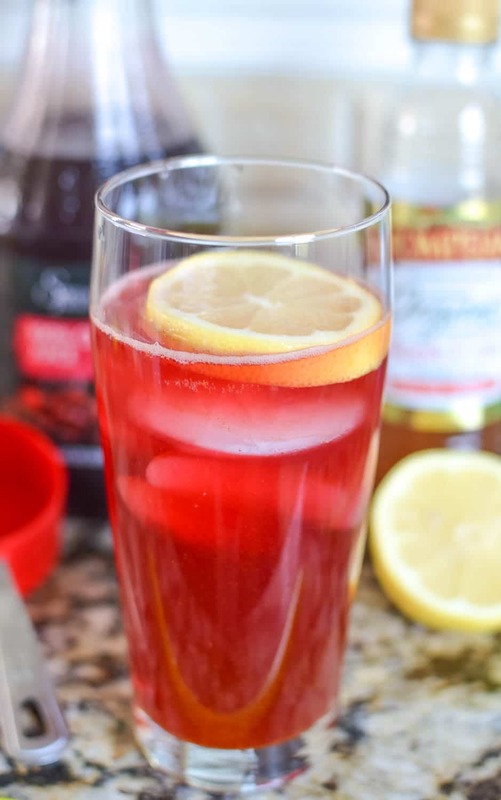 To up the health factor even more, I made a Sparkling Cranberry Turmeric Detox drink made with Pompeian Organic Apple Cider Vinegar with the mother, 100% cranberry juice, turmeric, lemon and sparkling water. 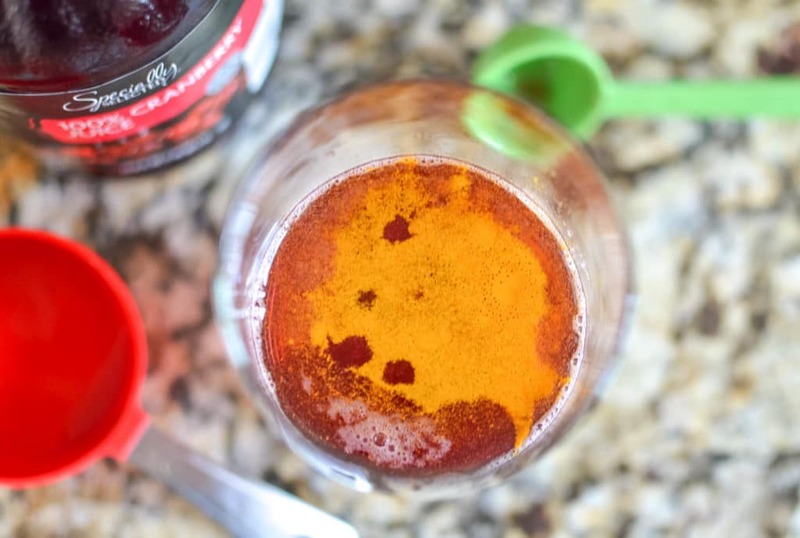 This Cranberry Apple Cider Vinegar drink is super refreshing and tastes so good that you won’t mind drinking it daily. Here are some of the benefits of the ingredients other than ACV. The active ingredient in turmeric is curcumin, which has potent anti-inflammatory properties and is a strong antioxidant. Cranberry juice is rich in antioxidants and can promote urinary, respiratory, kidney and oral health. 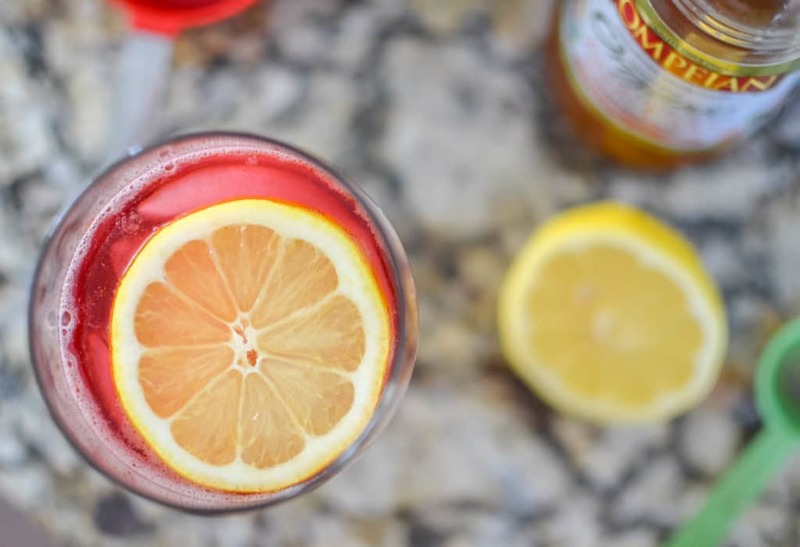 Lemon juice aids in digestion and detoxification and is also high in Vitamin C.
In a tall glass, combine cranberry juice, sparkling water, apple cider vinegar and lemon juice. Pompeian knows that for today’s home cooks, mealtime is not just about fueling up, it’s about experimenting with the latest food trends to create shareable, Instagram-worthy dishes. Throughout 2017 I will be sharing more delicious, on-trend recipes made with Pompeian’s high-quality olive oils and vinegars as a base. For tips on how to trend in the kitchen, including recipes, visit Pompeian on Instagram. To share your latest on-trend creations using Pompeian, tag your photos with #TrendingintheKitchen.